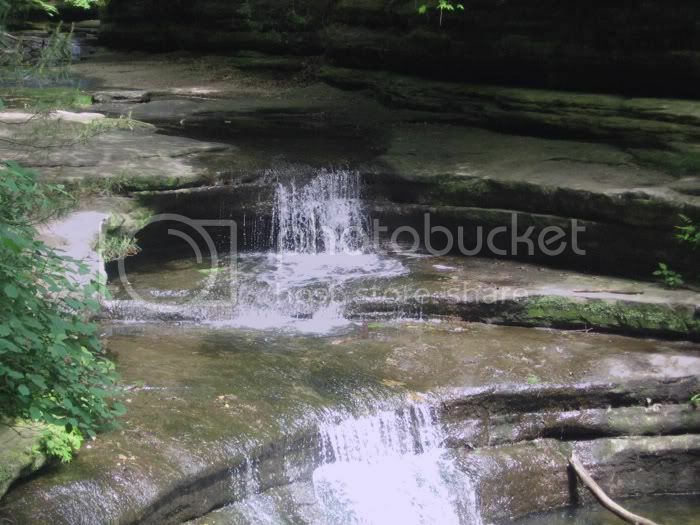 Rivers, waterfalls and gently babbling streams are soothing even in photographs. We are automatically drawn to the contrast of blue and white waters passing through brilliant green landscapes, gentle fields of yellowing grass, or tumbling through grey and green moss covered boulders and rocks. How do you capture water in motion? 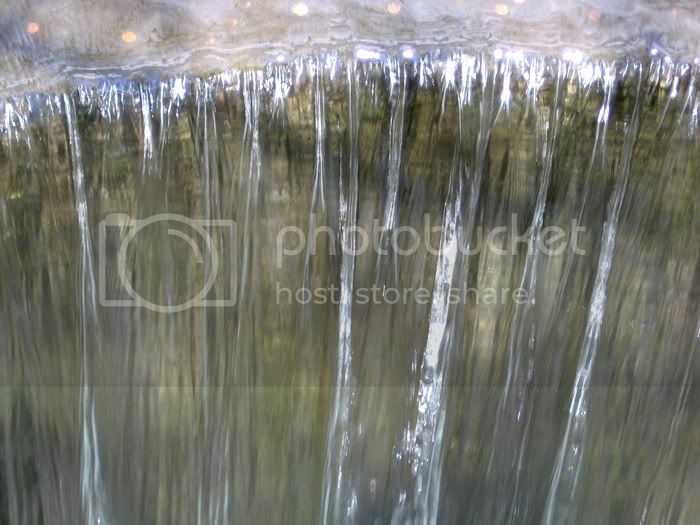 Photorealistic Images – If you permit the automatic settings in your camera to record the moving water, chances are it will opt to utilize a fast shutter speed to eliminate blur. While this gives an accurate depiction of the moving water, it may not create the tone or texture that is desired. Clicking on these thumbnails will open a larger picture in a new window. You can then download them to your own computer if you like. Smooth Water – By adjusting camera settings manually the appearance of moving water can be made smooth and almost “soft”. This is done by choosing a slow shutter speed. This may require reliance on a tripod to prevent hand shake and blurriness, but the result will be dramatically different than from an automatic settings. The slower the speed of the shutter the blurrier the passing water becomes giving it the softer and opaque appearance. Basic Shutter Speeds – For blurry water it is best to begin with one eighth second setting and work down from there, but true smooth water usually is not available until a shutter is open for a full second or more. Also the lower the ISO on the shot the more likely the image captured is going to be satisfactory. This is where the smallest aperture and highest f/stop will result in the slowest possible shutter speed for the ISO and lighting conditions. Remember Distance – The distance between the camera and the image of water it is capturing changes the effect of shutter speed on the “blur” factor. The closer the camera is to the water the more quickly the blur is captured. Low lighting may exist within many moving water environments and this too will necessitate slower shutter speeds and even tripods. 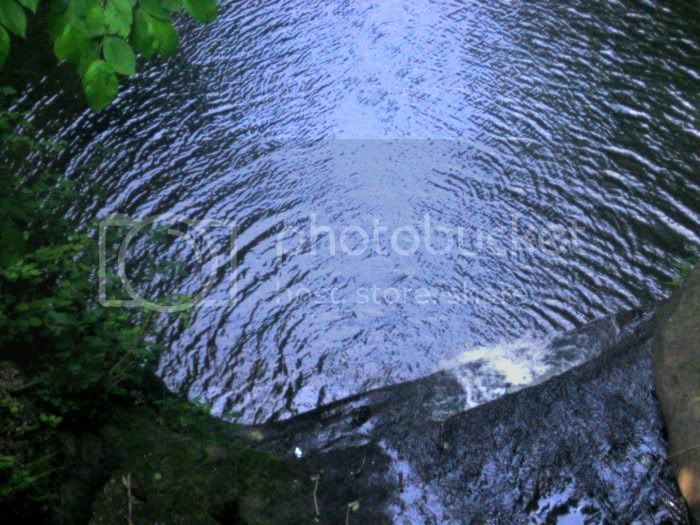 Rely on Shutter Priority settings – experiment with a few shutter speed settings for moving water, and allow the shutter priority to determine the f-stop and aperture on the image. Record which results you find the most appealing and visit other bodies of moving water to further experiment. Don’t Limit Subjects – remember that water flows to the sea shore in large waves and gentle lapping tides, it flows from lawn sprinklers and regularly spurts and erupts from public fountains, so experiment at many types of locations. Moving bodies of water never present the same image capture requirement which is why photographing moving water can be such a fun and highly experimental venture. Many photographers return to the same locations throughout the year to record the variations in plant life, water levels and to learn about photographing in the changing light and seasons. See you next time when we explore Top Ten Reasons to Always Take Your Camera Everywhere. These tips are brought to you in partnership with Amy Renfrey. Amy is the author of Powerful Landscape Photography. It is a book that is one of my top picks for learning photography. Pictures of Flowers More flower pictures for you to enjoy as well as articles on taking your own nature and flower pictures. I have never written to you before. I don't know why. I actually purchased my first SBI! in 2004, but quit about two years ago, and now I am back with another project. I keep getting your newsletter since then, and I see that you have reached # 24 in a row, which sets an example for me, and I'm sure for many other entrepreneur-wanna-bees. Two years of hard work. (Actually, I'm not sure yet if the newsletter is monthly, sorry)Just wanted you to know that I enjoy your newsletter very much, and I wanted to congratulate you on your effort and perseverance. I am sure you are, by now, very succesful. Keep up the good work. Looking forward to the next issue, best regards. First of all, I want to say thank you for your kind words. I love to hear from my readers. And it really feels great that you are inspired in your own business endeavors. By the way, it is no wonder you are not sure of my newsletter time frame. I actually did start out publishing once every couple of months. Then here recently I tried once a week. That scheduled seemed too frequent. So to all of my readers, the publishing frequency of Nature Tales shall be twice a month. I would love to hear from you. Let me know how the photography tips are working. Let me know if you have issues that you would like for me to cover. So what else did this reader get me thinking about? That is the subject of this weeks download. I know many of my readers and visitors to my site are interested in starting their own business. Many of my friends and family are in the service selling business. Though they may not think of it that way. My best friend is a chiropractor, I have two sisters who are beauticians, two wonderful artists, a couple other friends are artists as well, and as you all know I am an nature photographer and digital artist.